While the writing instrument enthusiast community considers Montegrappa among the top marques in the world known for their exquisite writing instruments, they have expanded their product lines over recent years. In addition to luxurious pens, Montegrappa offers cuff-links, watches, and fragrances — some of which are part of their NeroUno Lifestyle collection. 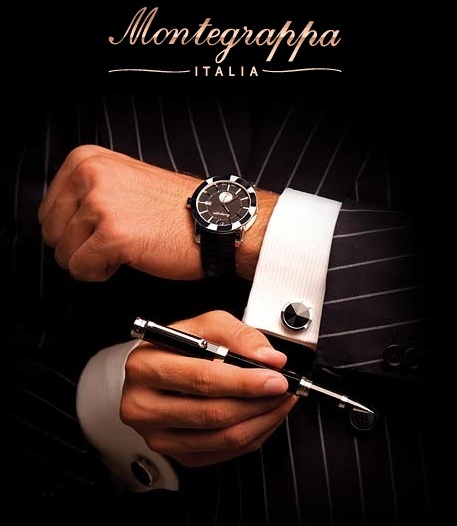 Being that Montegrappa is headquartered in Bassano del Grappa, in Northeastern Italy, they went a bit further north to acquire the help of Swiss watchmakers to create a line of timepieces that respect the luxury and history of the brand. The elegance of NeroUno lies in it’s minimalist simplicity, while the details echo the typical features of Montegrappa in a modern key. The design is quite architectural and meant to suggest the octagonal shape of the pens as well as cufflinks in the collection. As a starting point, NeroUno quartz watches are fitted with a luxurious wide leather strap with crocodile pattern, engaged by a deployant clasp, and include a faceted black gemstone mounted in the crown. I had the privilege of recently acquiring one of these particular models, and as a somewhat of a watch connoisseur myself, have been extremely impressed with the high quality, craftsmanship, design and precision of these timepieces. While luxury writing instruments will remain their forte, there is no doubt Montegrappa will be worldly recognized for their fine wristwatches as well. 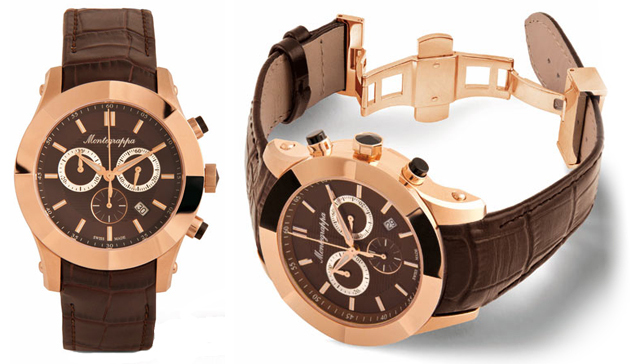 The NeroUno watch collection includes both quartz and automatic movements. 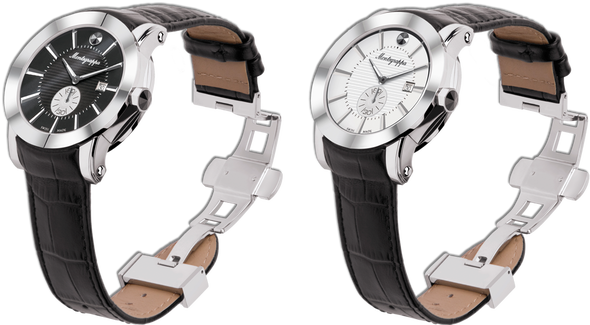 On the rear of the automatic case you’ll find a sapphire crystal display back with a view of the movement. Montegrappa makes use of the Swiss ETA 2824-2 automatic movement in these mechanical models. Introducing the Montegrappa Fortuna Caduceus - To Your Good Health!